Home > Autogeek Gift Guide > Gifts for Anyone > Metro High Performance Evolution Hand Vac 500 Free Bonus! For a limited time only, receive Metro Hand Vac Replacement Filters FREE with your purchase! The only 500 watt hand vacuum you can buy! The Metro High Performance Evolution Hand Vac 500 is a new and improved version of Metro's Vac N Go hand vac that they've made since 1957. The Metro High Performance Evolution Hand Vac 500 has an amazing 500 watts of power and 55+ inches of water lift. No other handheld vacuum comes close to the power of the Metro High Performance Evolution Hand Vac 500! Compare the Metro High Performance Evolution Hand Vac 500 to our Metro Stainless Steel 110 volt Hand Vac. The new Metro High Performance Evolution Hand Vac 500 has more than double the wattage for increased suction! 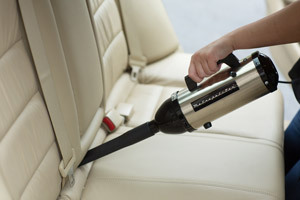 The Metro High Performance Evolution Hand Vac 500 is the only handheld vacuum that packs 500 watts of power into a 2.7 pound body. The vacuum is lightweight, portable, convenient, and - most importantly - it has incredible suction! Use the two included attachments to clean up around your vehicle or your home. The Metro High Performance Evolution Hand Vac 500 is based on Metro's original 200 watt handheld vacuum they started manufacturing in 1957. They were the first company to produce a hand vac and theyï¿½re now the first to create one with such power. Scroll to the bottom of the page for a specially priced combo including the Metro High Performance Evolution Hand Vac 500 and a 3 Ft. Flexible Hose. san juan puerto rico .